Hidition, located in Korea, re-launched their business and product line near the end of 2011 and I was privileged to be able to review the NT-6, which is one of their two flagship products. The NT-6 was designed with a reference sound and has 6 balanced armature drivers in a 4-way configuration, delivering a ER4 like sound with greater detail, resolution, clarity, and capability. The performance level is very high in comparison with what I have heard and left a lasting positive impression on me. Since the NT-6 is one of two flagships, with the NT-6 pro being the other, I was asked countless times about how the NT-6 compared to the NT-6 pro, so I talked with Hidition about the differences between the NT-6 and NT-6 pro, and we decided it would be a good idea to have a full review of the NT-6 pro. When the NT-6 pro arrived I have to say I was shocked by the sound, and not in a good way. Over 200 hours of burn in tamed the offensive treble, making it only somewhat offensive, but it still seemed too bright and analytical. I did have some minor fit issues, and when I contacted Hidition with the sound and fit issues they agreed to remake the NT-6 pro as well as my NT-6 since it had the same fit. They both came back with silicone canals, a much better fit, and the sound of the NT-6 pro was already significantly better out of the box. The sound was less offensive and much more musical as well as more spacious and I was informed that a different coupler was used due to my (and another person’s) feedback. The artwork is beautiful and the shells are amazing and on par with some of the best I have. There is a language barrier when talking with Hidition; however, even with the language barrier, Seoung ByoungHa has been great to work with and I wanted to give him a huge thank you for the opportunity to review the NT-6 pro and for all his assistance in getting things right. The Hidition NT-6 pro cost 1,232,000 won plus VAT in Korea and $1250 internationally. You can change the language from Korean to English at the bottom left of each page, although not every page translates. International ordering is done through the www.hidition.co.kr website, selecting your items, then selecting buy. The NT-6 pro is a 6 balanced armature, 5-way system with 3 sound tubes in an acrylic shell with silicone over acrylic canals as an option, which my unit has. The cable is detachable and uses a slightly protruding socket mount for the cable. The canal portion of the shell is backfilled with acrylic, encasing 3 of the drivers. The fit and finish is very good and one of the better finishes I have seen, including artwork that is very well done. 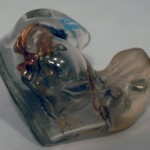 With a clear shell, it is hard to see where the silicone on the canal stops and the acrylic starts, but you can feel it. The shells stick out further than many other CIEMs such as the JH16, IERM, and 8.A, but on par with others such as the 5-way and i9pro. Since I also have the NT-6, which has been redone with silicone canals and stunning pearl artwork, the fit and finish on that is also very good except the canals aren’t as smooth as with the NT-6 pro, although I can’t recall if it was that way from the start or because I used an ear lubricant on the canal. The NT-6 pro includes a unique metal carrying case that is compact, a cleaning tool, a soft wipe cloth, instructions, and a frequency response chart in a nice box. The case, while larger than the original, still isn’t the biggest so care needs to be taken to close the case all the way since my shells are rather large. I was sent both the standard and upgrade cable. The standard cable is much better than the upgrade cable due to microphonics issues with the upgrade cable. However, I still prefer the upgrade cable because with the upgrade cable the midrange is more in line with the rest of the presentation and the overall presentation is a bit brighter, but smoother and more refined overall, with a more 3D space. All listening for this review was done with the upgrade cable. 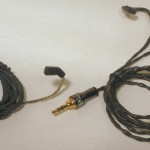 The standard cable is shown on the left in the above picture and the upgrade cable on the right. Since the time of review, Hidition has come out with an upgrade cable that looks and feels like the standard cable, but sounds like the upgrade cable. 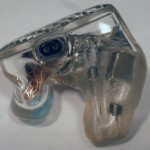 Disclaimer: My review is a comparative review, and since I have many similarly priced custom IEMs, my perspective is based on equal competition. 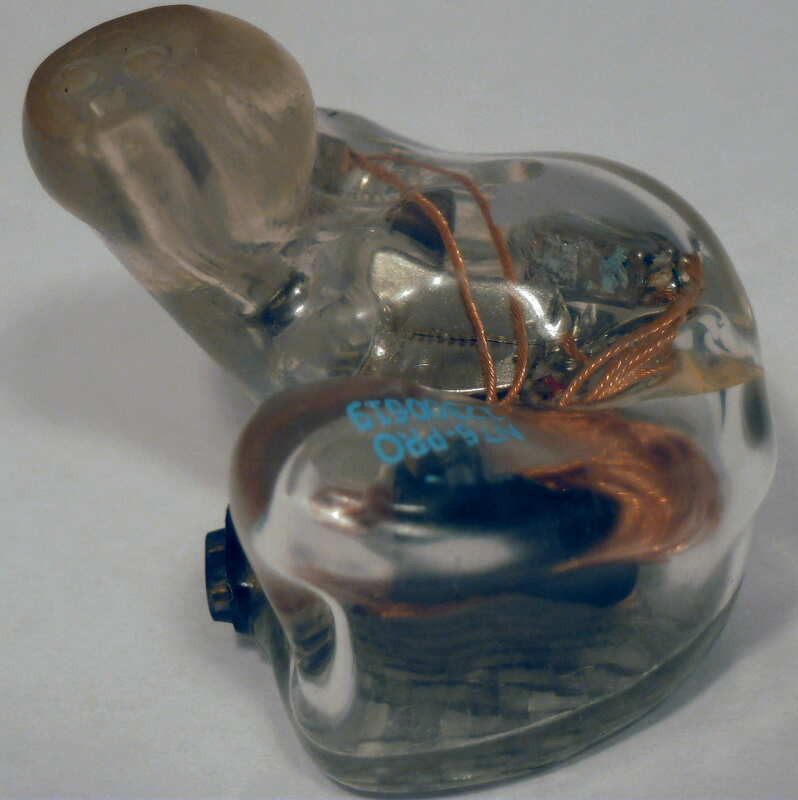 My goal is not to tell you how great the product under review is, but to explain the sound signature and characteristics as well as bring you a balanced account of the strengths and weaknesses to help you decide if this particular custom IEM is for you. This critical look at the product will almost always result in both strengths and weaknesses being revealed. It is my firm belief that you should buy a product based on the sound you prefer, or the sound for your particular purpose. If you don’t know what you want, read through the reviews and try to imagine if you would like the described aspects of the sound. The NT-6 pro received 100+ hours of burn in as is customary before I do my serious listening. 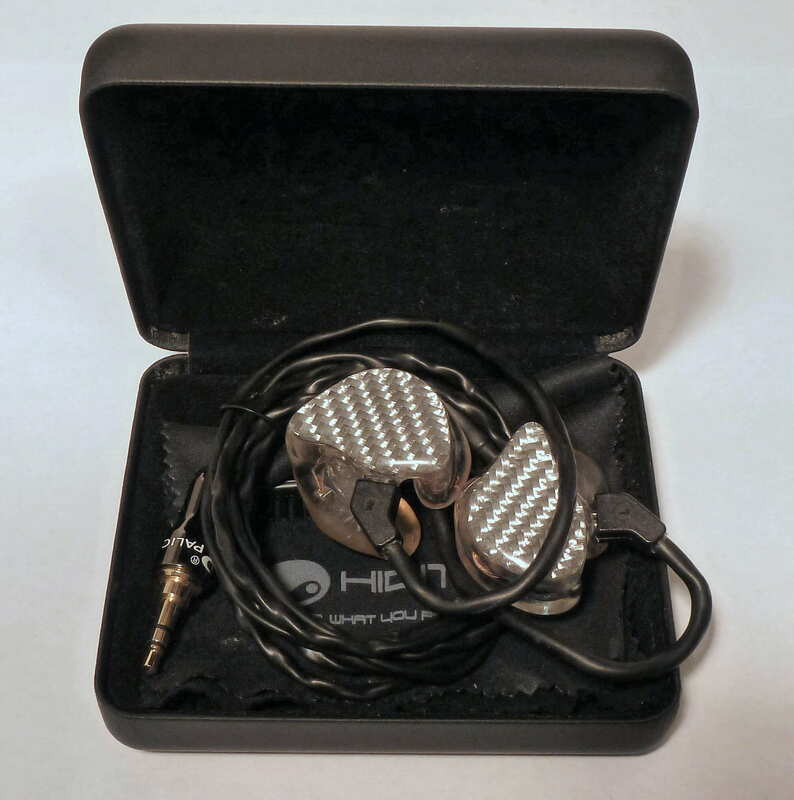 The following custom IEMs were used for comparison: Hidition NT-6, Heir Audio 8.A, JH Audio JH16, Rooth LS8, Spiral Ear SE 5-way Reference, ACS T1 Live!, Ultimate Ears In-Ear Reference Monitor (IERM), Starkey SA-43, and Earsonics EM4. Upon first listen the NT-6 pro sounded great, although it is very likely that the drivers with 200+ hours of burn in were used for the rebuild. My initial thoughts, when listening to the NT-6 pro in comparison with the NT-6 was the additional depth to the presentation and a clearer and brighter sound, but with a musical presentation. The bass also seemed to be more enhanced than my initial unit. The initial unit had a very hot top end, but it settled down after 200+ hours, but still wasn’t as musical as the replacement, which makes sense because Hidition did make some changes to the sound. The bass of the NT-6 pro is not typical, but impressive. What I mean by that is the enhancement is in the deep bass region and the mid-bass is very lean and neutral, reminiscent of the NT-6 and ER4. The perception of enhancement is dependent on the track as many bass light acoustic songs sound close to the NT-6 while pop, electronic, etc. songs are definitely enhanced. While there isn’t too much warmth, the bass is still full and involving due to the enhancement down low. Compared with the NT-6, the bass is more prominent and fuller but in comparison with something more bass heavy like the 8.A, the NT-6 pro sounds relatively thin even though the NT-6 pro has a bit more deep bass capability. Speaking of capability, the deep bass can really rumble and shake, giving a tactile feel and “sense” of power while still retaining excellent control. While the 5-way has more rumble and better dynamic range, the NT-6 pro isn’t too far off and the NT-6 pro gives a better sense of control. Detail levels and texturing are excellent, surpassing the JH16, mainly due to a clearer focus of the presentation. As should be expected from the sound signature, the NT-6 pro is fast enough to keep up with any track, rivaling and even besting the JH16 bass speed. While both the JH16 and NT-6 pro have enhanced bass, there is a different feel to each due to the JH16 having more warmth and bass enhancement. The bass extends all the way down with full impact and rumble, which is in its own right impressive. If you listen to acoustic music, you will probably realize that, while the NT-6 pro isn’t on the warm side, it is still exciting as it enhances the lower tones of bass notes, giving a slight accentuation. Turn on some electronic or pop with deep bass and you will feel the full effect of the enhanced bass, adding flavor to the music. You won’t be able to mistake it for neutral (that is what the NT-6 is for), but the quality is simply amazing. 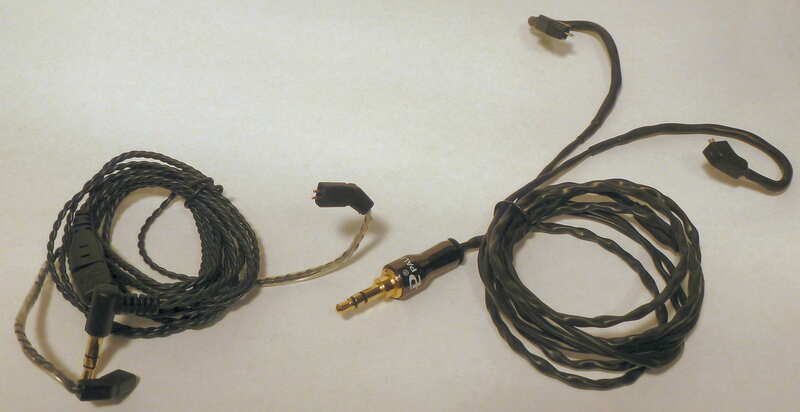 The original NT-6 pro I received had a recessed midrange which was remedied to a large extent by the premium cable. Hidition now uses a premium grade cable with the stock cable ergonomics and microphonics so you get the best of both worlds. The new NT-6 pro has a better balance across the frequency spectrum and the midrange isn’t recessed. There still is a laid back feel to the midrange because of the bass and treble enhancements, but vocals and midrange instruments sound right where they should be. The midrange is clear and precise with speed, articulation of note and voice, and very high resolution. The presentation is very spacious and has exceptional depth of soundstage with great instrument placement. While the midrange is very good and articulate, it doesn’t have the organic sound of something like the 5-way or T1 Live!, which give strings more body and have an overall thicker presentation. The midrange of the NT-6 pro gives you immediacy of detail and a precise, analytical sound with top notch clarity while still having musicality. 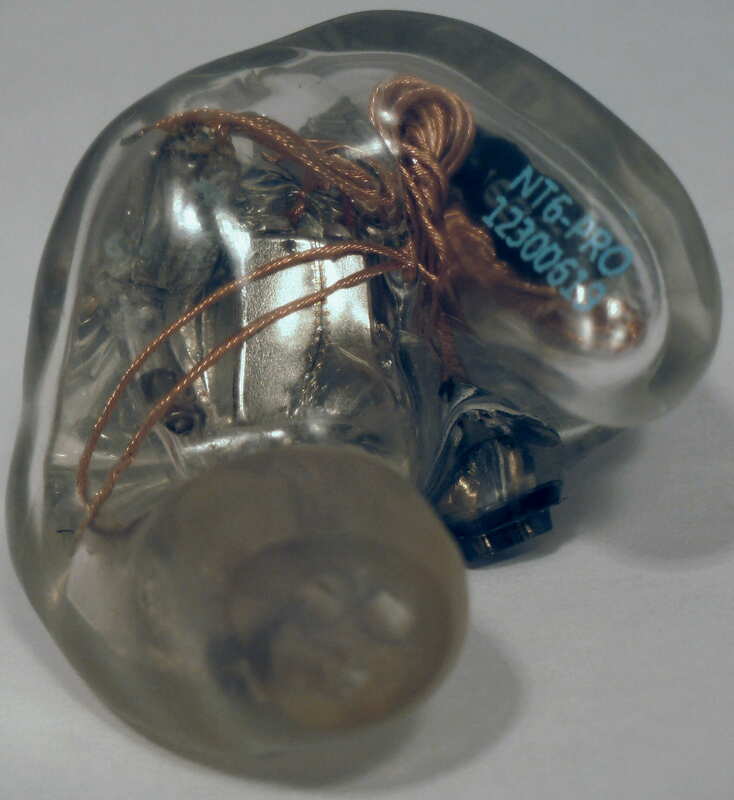 The NT-6 pro is the brightest CIEM I have, no doubt, but the quality of that treble is excellent. The boost is not peaky as with many others such as the JH16 and LS8, but more of a boost above 8K, at least in my ears. Sibilance isn’t an issue unless it is an issue in the recording, and even then it is very forgiving of sibilance in the track due to the frequency response. Due to the boost, the treble isn’t at a level that I could even mistake for natural, but it is very listenable since the quality is quite good and passed all my treble test tracks. While the decay isn’t quite as good as the 5-way or even the NT-6, it does have better than average note decay for treble instruments, and is forgiving of poorly mastered treble. Covering my favorite aspect of the NT-6 pro first, the soundstage reproduction is amazing. The space is very large, just a hair smaller than the SA-43 and about on par with the 5-way. There is excellent layering, instrument separation, and black space, with the differences between the 5-way and NT-6 pro coming mainly from note presentation. The NT-6 pro articulates the details better, presenting you with the details in an immediate way while the 5-way does things organically. The SA-43 is more laid back, so the size of the NT-6 pro, even though slightly smaller, is still impressive. But, both have their place as the NT-6 pro has a better spatial presentation for electronic while the SA-43 is best with acoustic (although both are excellent with other genres). The NT-6 pro presentation is not unlike sitting right in front of a performance, and if you close your eyes you can imagine the performance. Note attack and decay is on the analytical side, but very capable and notes can be sustained, however they are on average shorter than most other CIEMs. The most similar in note thickness is the UE IERM, although the NT-6 pro offers better attack and decay capability, and the NT-6 pro is between the UE IERM and LS8 in liquidity of the presentation. This capability allows the NT-6 pro to sound extremely fast in an effortless way regardless of the speed of the note (Extratone anyone?). This note capability and presentation combined with the enhanced treble give the NT-6 pro exceptional clarity, in fact the best I have heard. Transparency is among the best and the drivers are very well integrated with a very coherent presentation. Resolution and detail levels are top notch; however, the ambiance that is created with a more organic sound isn’t as present since the details are brought out and overshadow some of the fine nuances in the background of the presentation. You can’t have it all. An incredible presentation focus is another strength which makes some of my other CIEMs sound fuzzy in comparison. The biggest weakness of the NT-6 pro is the tone, which is unnatural due to the enhancements, but is still surprisingly natural sounding, all things considered, due to the note attack/decay capability. In a nutshell, the presentation is very spacious and 3D with enhanced bass and treble, but a present midrange, analytical but liquid presentation, resulting in musicality to go with extreme clarity. Volume performance: Performance at all volume levels is quite good as the enhanced bass helps get the bass driver moving with very low volume levels and the sound signature is retained as much as it can be, taking loudness curves into account. At louder volumes, very heavy bass tracks can get a bit distorted, but I can’t listen for longer than a second of so, and can’t imagine people would have hearing in a year listening at those volumes. Even at loud volumes, there is absolutely no congestion. Sound Summary: The NT-6 pro is somewhat complex to describe, as the ability to project sound leads to different presentations depending on the spaciousness of the tracks. In general, the NT-6 pro is bright with enhanced deep bass and an analytical yet smooth and fun sound. It isn’t smooth in the way that the Rooth lineup is smooth, as that is more of a liquid smooth. The NT-6 pro smooth is due to very good PRaT, with great capability to recreate a note with the proper attack and decay, although there is a slightly faster attack/decay than the more organic sounding CIEMs such as the 5-way, 8.A, and SA-43. The midrange is neither recessed nor forward in general, but the majority of my tracks are slightly more forward than laid back. Extension on both ends of the spectrum is very good and the bass is tactile and as powerful as some of the other very good performers such as the EM4 and 8.A, but with less warmth. Due to the enhanced deep bass, the bass isn’t as cold as that of the NT-6, the added spaciousness compared with the NT-6, and the more exciting sound make me want to listen to the NT-6 pro for extended periods of time; something I didn’t always want to do with the NT-6 even though it is more tonally accurate. It should also be noted that the NT-6 pro has the best clarity of any headphone I have heard to date, articulating every note and detail in a way that is extremely easy to comprehend, and the musical presentation makes it enjoyable, for the most part. The biggest detractor to the sound is the enhanced upper end which, depending on the track and your treble tolerance, can at times be just too much. I would imagine those particular tracks were made for low-fi equipment as they are usually larger artists (Queensryche for example). There are plenty of tracks that don’t have this issue. Overall, if you like bright and want incredible clarity, great spaciousness, and enhanced deep bass, the NT-6 pro will hit the spot! 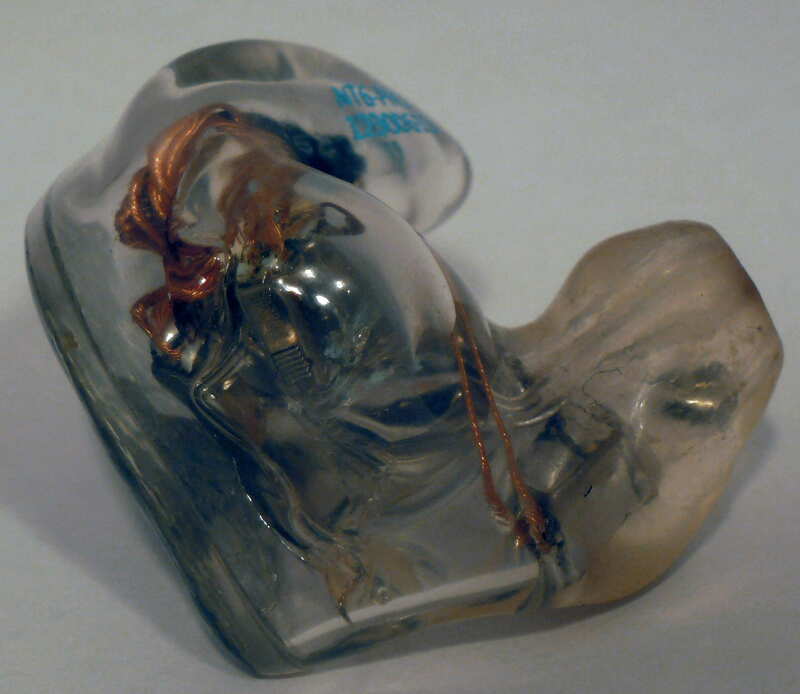 I already order a nt6 pro, it is my first ciem. I am pretty excited and nervous with it . May I ask for some tips when I got my first ciem? Also, I am quite worried about transporting my nt6pro from Korea to Canada(I am currently living in Canada:) ) May I ask for your experience of transportation problems and how do you solve it? Congratulations, you are in for a treat! What kind of tips are you looking for? 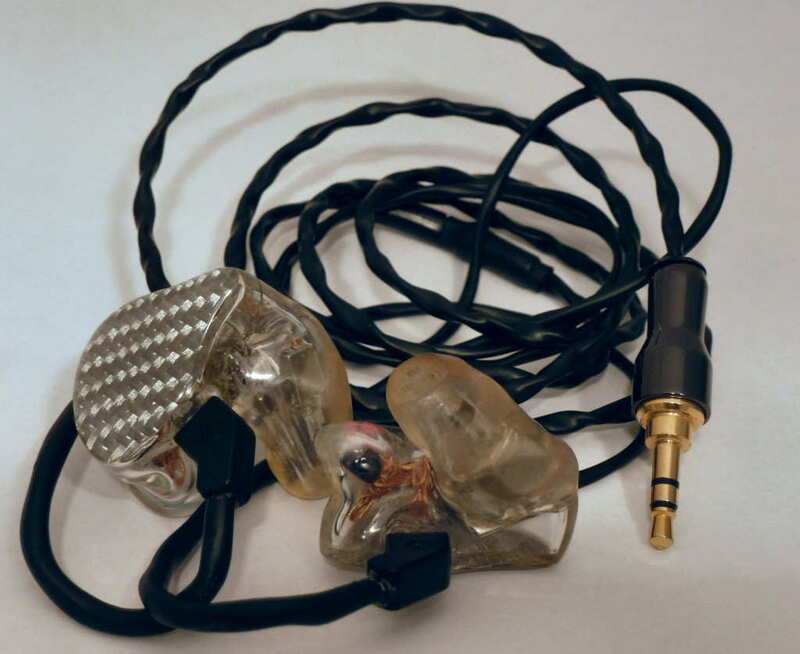 You can check out the CIEM fit guide. Has it been shipped yet? Shipping carriers are quite reliable and US customs has not been an issue, but I believe Canada is more stringent. The declared value may result in import fees, but as far as the actual delivery, I would request that a signature is required for the delivery. Do you have or anticipate any specific transportation issues? It is not yet ship,actually I order it in the middle of this month through a Chinese company because Hidition never reply my e mail. I am quit worrying for the safety of the package and high import free but your answers make me feel better.May I ask what should I check when I get the earphones ? And how do you contact with Hidition ? Once you get your earphones, unless there are major issues at the beginning, use them for about a week so your ears can get used to them, and they can build up some wax/lubricant. Then, you can follow the procedure in the guide to check for fit quality. I talked directly with them, but their replies required a translator and sometimes took quite a while. I have heard they can be non-responsive, so I am not surprised. I am looking forward to your thoughts when they arrive. 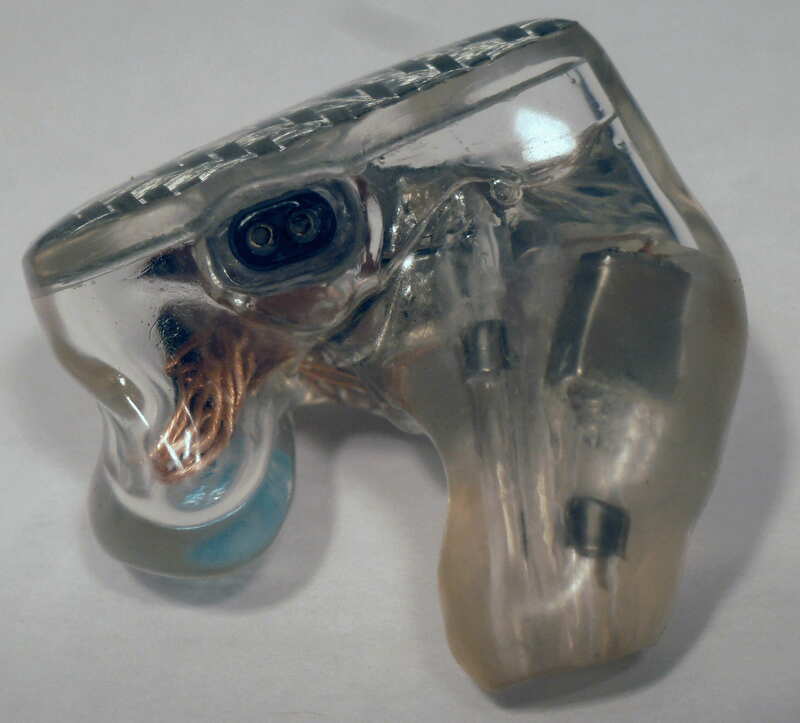 The silicone canals are no longer available. The concept was good, but the silicone used for the canals was harder than that used for regular silicone CIEMs. The manufacture was problematic and time consuming (and Futuresonic does the same thing with I think a 3 month warranty), so they stopped. 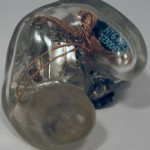 A well fitting acrylic shell, which I have from them, still makes for an excellent CIEM! This help me clear out a lot of question. May I ask is there any great different between silicon canals and normal one (as a user, such as the feeling in the ear) once again， thanks for your reply. With the type of silicone they used, there isn’t much of a difference to acrylic, except the silicone yellows over time and the silicone provides a bit more isolation. The silicone takes a bit of time to warm up once inserted, and even with that, a properly fitted acrylic CIEM is not noticeably different. Nice that you tried the demo and please let us know your thoughts once you get one! Thanks for your review of the NT6P, as always, very informative and to the point. Well done. The Pro doesn’t react the same way to cables as the NT-6. The Effect Studio Thor cable helps with a more immersive experience because of the better presentation depth, but it doesn’t bring the presentation closer, but does increase the realism. I haven’t heard a pairing that brings the midrange forward, but one may exist. The vocal presentation really depends on what you are used to hearing. For example, if you listen to the HD800, the Pro will be fine, but if you prefer Audeze or EarSonics, the Pro will be quite different. It isn’t lacking in the Pro, but when comparing with others in the price range, it is more laid-back than typical. You may want to check out the Viento-R, which has exceptional center imaging for a very immersive experience that makes up in large part for the presentation perspective or the Custom Art Harmony 8 Pro is another option.